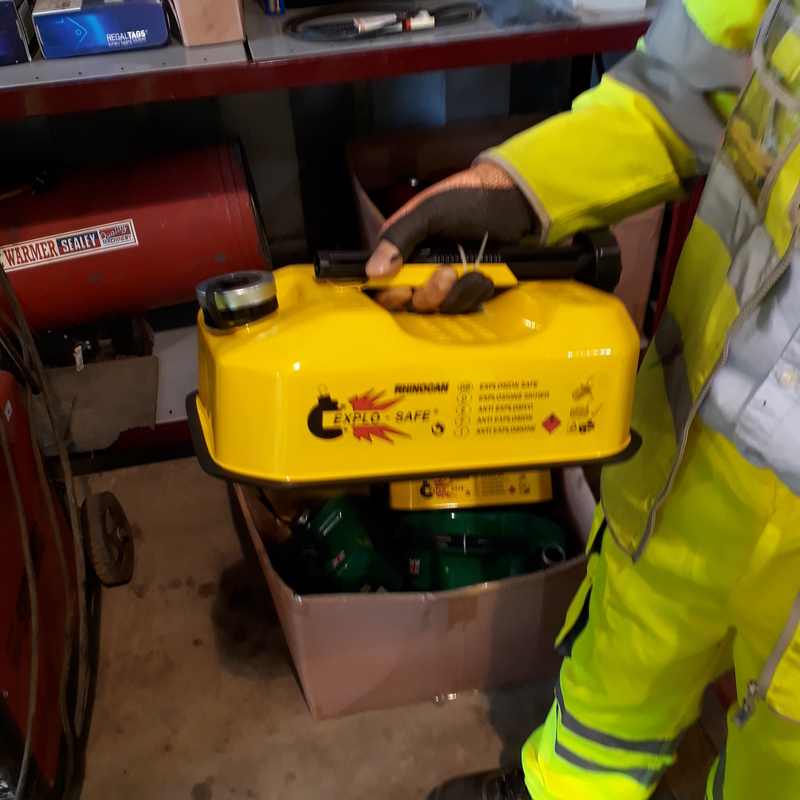 One of the teams at VolkerHighways attended a fire awareness course and discovered Explo-safe fuel cans as an alternative to plastic fuel cans. These fuel cans have a honeycomb structure of Deto-Stop aluminium mesh, evenly packed into the fuel can, occupying just 2 per cent of volume. This mesh disperses heat build-up so rapidly, that no hot spot can develop and cause an explosion. These cans have been rigorously stress tested in a variety of environments and conditions by the manufacturer. It has been found that plastic fuel containers can swell up in the heat, whereas the Explo-safe ones do not. Plastic fuel containers are associated with a risk of explosion when they become hot, which can have significant consequences. Explo-safe fuel cans have been purchased by VolkerHighways to reduce the dangers associated with using fuel cans. In addition, the flat base of these fuel cans makes them particularly stable.